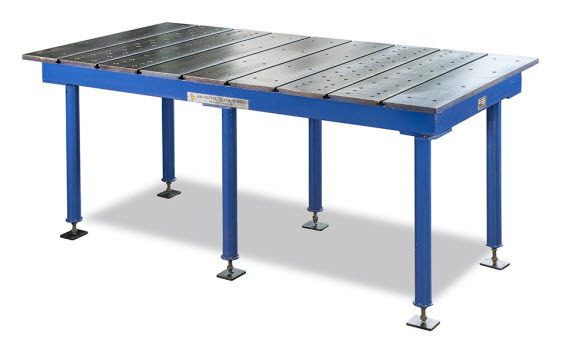 Tilting Table is a useful accessory for setting work at an angle for milling or other operations. 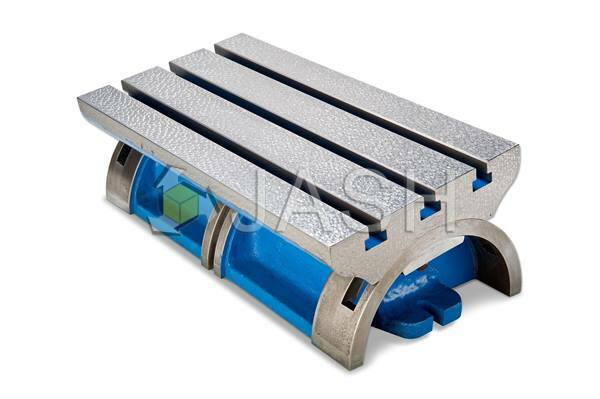 The table has machined T-slots along length and can swing up to 45° on either side. For setting purposes a degree scale, reading minimum one degree, is graduated on the end face of cylindrical base itself. This ensures better setting accuracy. The table is set manually to the required tilt and is locked in the set position by means of two locking clamps held through bolts. Table top and base are flat and parallel within 0.05 mm per 300 mm. T-slots are parallel to the edge of the table and the cylindrical base within 0.05 mm per 300 mm.